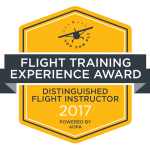 Frederick, Maryland–Bravo Flight Training has been recognized for its high standard of accomplishment in flight training by The Aircraft Owners and Pilots Association (AOPA), the world’s largest aviation association. The flight school has been awarded a spot on the 2018 Flight Training Experience Awards as a Distinguished Flight School, a title given to high scoring flight schools from AOPA’s annual Flight Training Experience Survey. 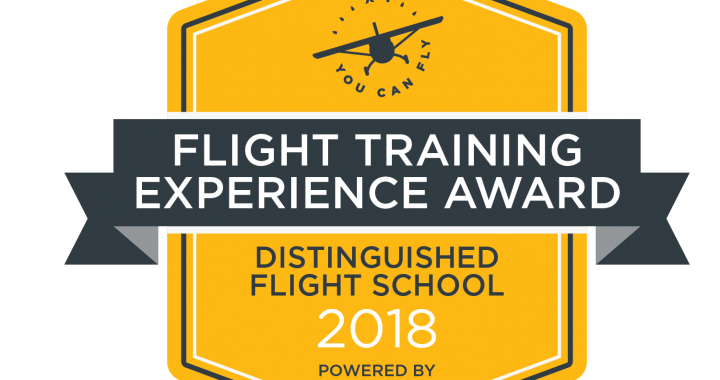 The 2018 awards were drawn from flight students and pilots who voluntarily reviewed their flight training experience last summer through an AOPA online customer satisfaction survey. 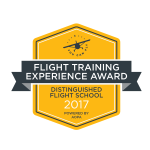 The process yielded an evaluation of 954 different flight schools and 1,849 individual flight instructors.